WELCOME TO EASTSIDE CHIROPRACTIC SERVICES, P.S. Murray Smith is a chiropractor serving Tumwater and the surrounding areas. 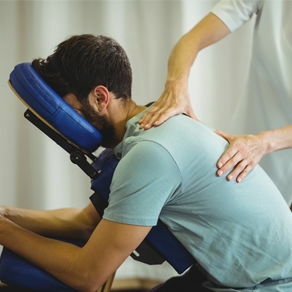 Whether you need an injury or accident treated, have a specific body issue (such as back pain or a spinal condition), need pain relief, or just want to improve your overall health, Eastside Chiropractic Services may have a solution for you through chiropractic care. You may be new to seeing a chiropractor and want to find out more. Feel free to click the "email us" link to ask any questions and you are more than welcome to call (360) 459-9000 and speak to us directly. We also welcome referrals, so we invite you to share our chiropractic and wellness information with your friends and loved ones.